Pansy is not the most companionable cat. I seldom write about her because she doesn't really like me. But here in New Hampshire she has blossomed. She interacts with us, goes outside, sleeps with us, sleeps with the other cats, and even killed her first mouse! She adores John (because he sneaks food to her all the time!) and walks up to him for scratches. Her fur is thicker and glossier now, too. I'm sure these changes are due to there not being any beagly Vermont dogs here! Scout and Sophie are challenges to many cats (and people like me) and they intimidated Pansy. Her disabilities (deformed legs, hips and feet) make it difficult for her to move quickly out of the way of a bouncy dog. Pansy was given to me by a student in Hartford, Connecticut. Jose came to school and told me that there had been a kitten on his roof that boys had thrown rocks at. Jose climbed to his roof, rescued the kitten, and cared for her overnight in his room. He thought Pansy's deformities were injuries and wrapped one of her tiny legs in an ace bandage around a Popsicle stick. Jose and I left school immediately, got the kitten from his house and took her to my vet. We returned to school where we and the rest of the staff and students waited for the vet to call. She called and gave Pansy a great report! There were no deadly diseases and no injuries. But the kitten did have significant birth defects. None of Pansy's problems have stopped her from enjoying life. She requires extra protection and care. But she is doing great! Hey, you're back! Glad Pansy is feeling better. Good story. I enjoyed your cat story, but I wass fascinated by the geometry segment that preceded it! If I were a student now I would understand so much more! You must be an inspired teacher. Pansy is pretty! I am glad that she's happier now and doing so well! Pansy is such a cute name and so is she. I am so glad that she is doing okay despite her disabilities. Ohh your Pansy's story touched my heart, you're a such a good person to rescue Pansy. Glad Pansy found you and I know she is well loved. Pansy is beautiful. Am glad you took her in. Handicapped cats need to be shown extra love and care. Once they love you in return, it is absolute. It's such a beautiful story.Pansy is adorable! I love to read stories with a happy end ! To your comment, Arthur only 4 years old got very lazy too with his old girl harem, that's why I wanted a young cat and found Rosie. 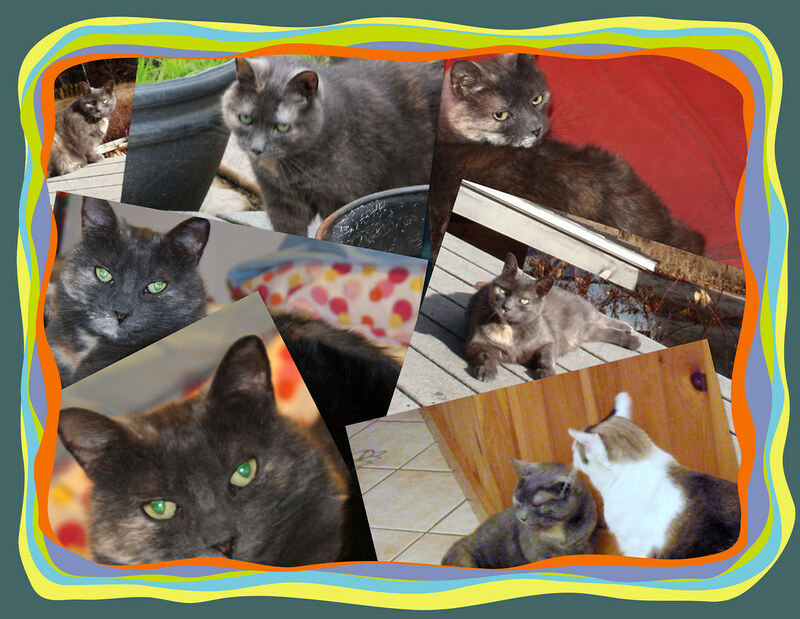 Since the 3 years she is with us now she put life in the old girls and Arthur became a playful cat again, lol !